Everything you do is successful. Happy birthday Great blessings belong to you. 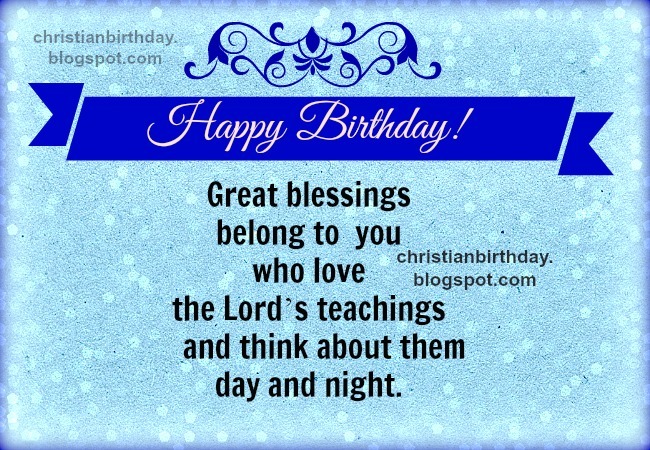 Free christian card with christian quotes for birthday, for man, woman, teen, free images to share by facebook for bday, congratulations and blessings with free images. Bible scriptures, religious verses for friends, son, daughter, on birthday. Bible verses.